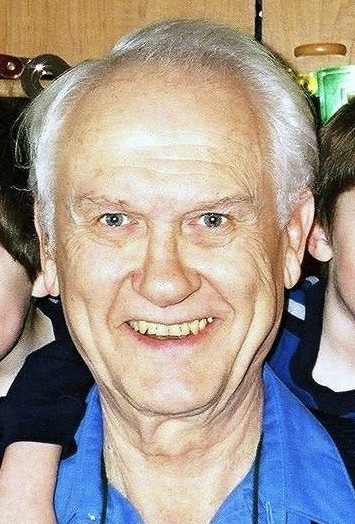 Walter, loving husband, father and friend, was taken by cancer on October 9, 2018 at the age of 85. Walter is missed by his devoted wife Margaret of 55 years; daughter Karol; grandchildren Will, Evan and Charlie; siblings Hermann and Edith; daughter-in-law Susan Maltbie, and his kitty cats. His death was preceded by his son Gordon and sister Hildegard. In 1933 he was born of German heritage in Neutitschein, Czechoslovakia. At the age of 20 he immigrated to Canada and soon graduated from University of British Columbia with an engineering degree. He married Margaret MacLean in Vancouver, BC in 1963 and they swiftly moved to Palo Alto, California where their children were born. He taught his children to ski at Squaw Valley resort; to hike at Foothills Park; to camp in America’s national and Canada’s provincial parks; and taught his grandsons to ski and swim. He continued to ski and camp into his eighties. His career provided him and his wife the opportunity to travel the world and live in Scotland, England, Malaysia and Germany. His sister-in-law said “Walter was the most unselfish person I have ever known.” His friends and family remember him as always loving, smiling, joyful, and generous. Walter spent his retired years doting on his grandchildren in Granville Ohio, picking them up from practices and capturing their every moment on camera. His memory will always be in the hearts of his loved ones. Memorial contributions may be made to any cancer research, treatment or support agency.